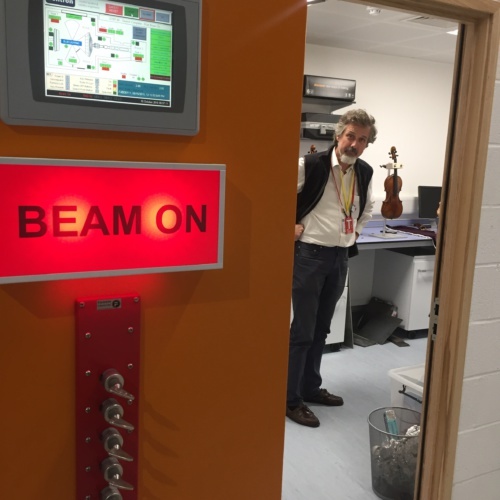 This week two violins by Amati and Testore met 21st-century technology when they became the first ever stringed instruments to be scanned by a neutron beam. 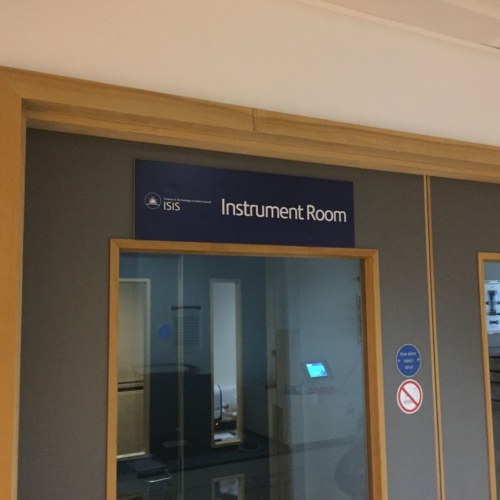 The violins were supplied by Tarisio as part of the inauguration of a new scanning ‘instrument’, the IMAT, at the ISIS Rutherford Appleton Laboratory in Oxford. 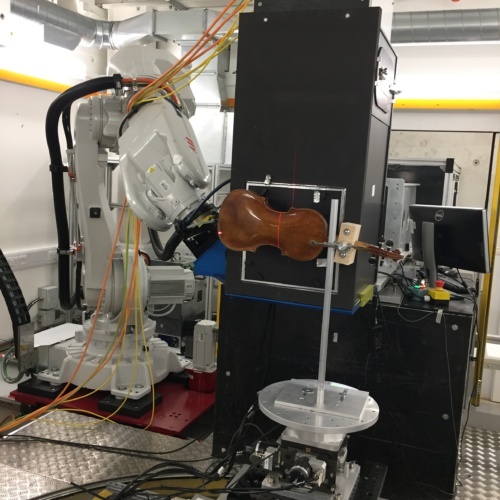 IMAT is the first instrument at the ISIS spallation neutron source that is able to create 3D images, and its new imaging capabilities could reveal hidden details such as the composition of 18th-century varnish. ‘New analytical methods will help us understand and rediscover techniques that three or four centuries ago were common knowledge in the small community of Cremonese violin makers and allowed them to produce… violins that are still unsurpassed for their acoustical properties,’ said violin maker Carlo Chiesa, who acted as a consultant for the project. The scanning process was run by a team of British and Italian scientists led by Professor Carla Andreani from the University of Rome Tor Vergata and was witnessed live by Jason Price and Naomi Sadler of Tarisio. 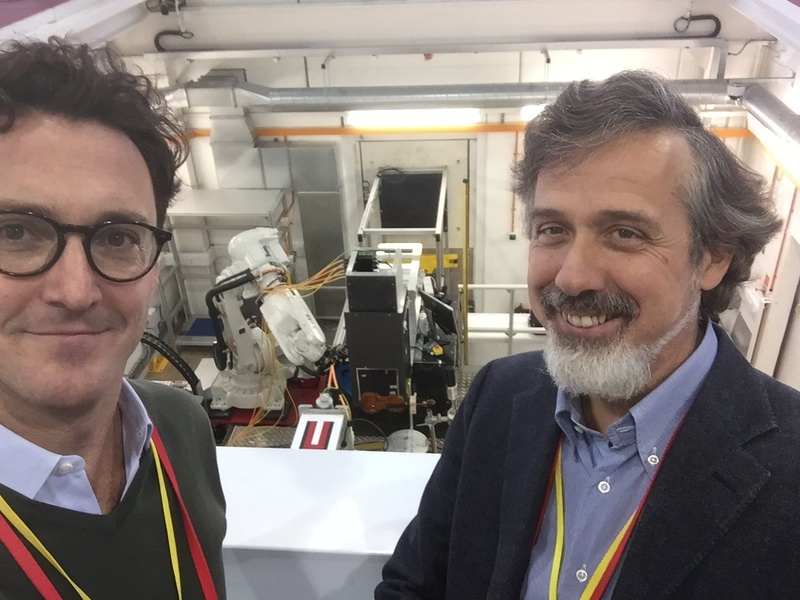 IMAT’s tomography camera was designed and constructed by scientists from IPCF-CNR in Messina, Italy, and will be used to study significant artefacts such as musical instruments. 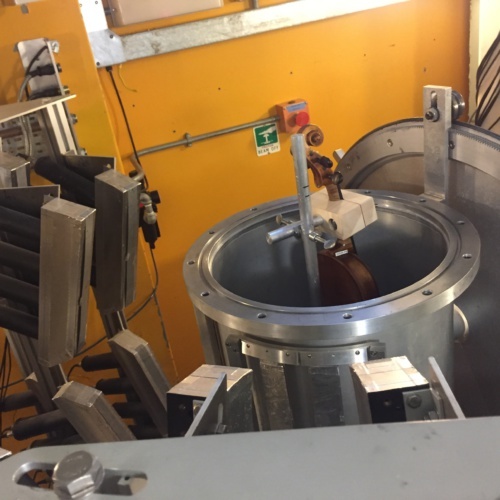 The neutron beam used by IMAT is created by a high-intensity particle accelerator at the Rutherford Appleton Laboratory. As neutrons can penetrate deeply into materials, IMAT is capable of producing images of the internal structure of objects that will complement traditional CT scanning techniques. Analysis of the data is ongoing and we will report further once the results have been obtained.